Finlaggan Old Reserve is a single malt whisky that is bottled and released by the Vintage Malt Whisky Company. 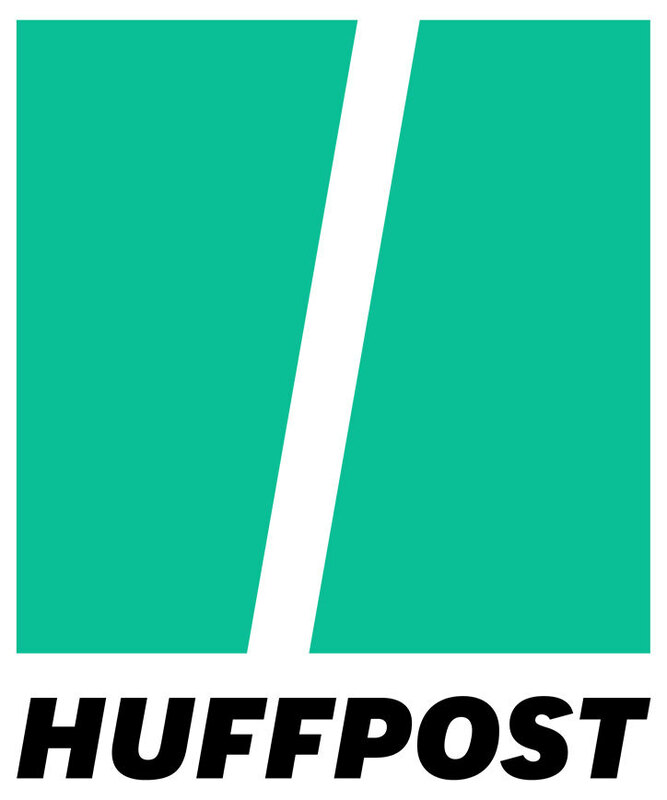 The company is based in Glasgow, Scotland and was founded in 1992 by Brian Crook. He had worked in the Scotch whisky industry since the early 1970s and then decided to set up the VMWC. They source and bottle whiskies from around Scotland and distribute to over 20 countries. They release three single malts - Finlaggan from Islay, Glenalmond from the Highlands and Tantallan from Speyside. They also bottle a range of single cask whiskies in their Cooper's Choice range. As mentioned, the details of the whisky are sketchy at best. The labels on Finlaggan carry no age statements or clues as to the origins of where the whisky was produced. The only thing that is revealed is that it is from the famous whisky island of Islay, which is home to eight distilleries. A sniff of the whisky reveals that it is very smoky, so a bit of detective work is in order to work out which one of the eight it may be from ... there are a few rumours flying about, but nothing concrete. What we do know is that Finlaggan Old Reserve is named after Finlaggan Castle, which is now a ruin located on Islay but was the former residence of the Lord of the Isles. It was built in the 13th century and the name Finlaggan translates as 'fort of the island'. 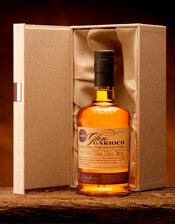 It is bottled at 40% ABV and should cost around the £25 mark from selected specialist whisky retailers. We will leave any other guess work up to you. The colour is a pale lemon yellow and the nose is feisty, smoky and fresh. The peat smoke is unavoidable and is strong, spicy and hot, reminiscent of chillies and burning ash. There is a savoury and earthy aroma in the background - this becomes more prominent with time as the initial hotter notes fade. Underneath, some more subtle aromas fight their way through - think of honey, toasted cereals/oats and a hit of lemon zest. It seems basic but very promising. On the palate, the intense smoke hits first again. It is spicy and hot, but not as exaggerated as on the nose. This savoury, burning smoke is accompanied by a big helping of obvious sweetness and has notes of honey, vanilla and icing sugar all combining well. The clean, fresh feeling of this whisky is maintained throughout and it gets a drier with time. This dryness is led by some wood spices, especially a good pinch of nutmeg and oak shavings. The conflict between the intense sweetness, powerful smoke and the drying notes is balanced and complimented by some slightly bittersweet cereals, a hint of lemon zest and an increasing briny saltiness. The finish is long lasting with the bittersweet malty cereal grains, honey and drying wood spices prominent. However, there is no getting away from the powerful, robust bonfire-like smoke and it is this notes which smoulders longest. The distinct salty, briny note from the palate also put in a welcome appearance. 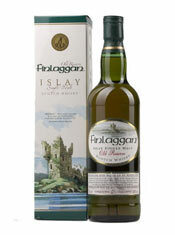 The Finlaggan Old Reserve is full of character - it is powerful, youthful, vibrant and very smoky. It is not subtle, it is not particularly complex but what it is, is very good at what it is trying to do. If you like your whiskies on the heavily peaty, feisty and smoky side then this is worth searching out, especially when you consider the very reasonable price point at which it sells (£25). This is a bargain of a single malt and a delicious one at that. 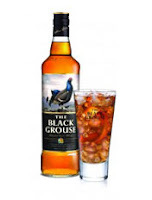 The Oscar's are on 26 February and the Black Grouse blended whisky brand have created a range of simple cocktails to sip on while you are watching the ceremony. In a slightly tenuous link, the three cocktails are all named after movies and/or the stars that appear in them. The Smooth Talker (pictured, left and 'inspired' by George Clooney) mixes the blend with cola, a wedge of orange and ice. The Silence Is Golden pays homage to the incredibly hyped silent movie The Artist - it's Black Grouse, apple juice and a squeeze of pink grapefruit over ice. The Dragon's Breath is named after the Hollywood remake of The Girl With The Dragon Tattoo and mixes Black Grouse with freshly squeezed lime and ginger beer over ice. For further information, visit www.black-grouse.com. The world’s best selling Irish whiskey has again collaborated with Irish artist Paul Daly to produce a limited edition bottle design for St. Patrick's Day. Daly’s design first appeared in February 2011 and was inspired by the legendary Celtic illustrations in The Book of Kells - an important part of Irish heritage that depicts the four gospels and was believed to have been produced in 800AD. This year it will be sold in over 30 markets around the world including Australia, Spain, Russia and the USA. The brand is also planning a number of high profile events to mark St. Patrick's Day. 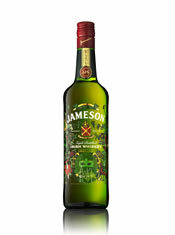 These include the Jameson Global Broadcast (a special radio show direct from the Old Jameson Distillery building in Dublin), the Jameson Global Party (the main event takes place in Dublin, with other events planned in Dubai and Sofia, Bulgaria) and a new mobile phone app. The distillery on the isle of Jura have announced a new consumer competition. The 'Whisky Pursuit' is a quiz based losely on the popular Trivial Pursuit board game and is aimed at the members of Jura's Duirachs club. Each week for a total of six months, a question will be set on the Duirachs part of Jura's website. These will be from one of six categories and each week a person answering correctly will win a bottle of Jura Superstition. After six months, the Duirach members with the most correct answers will be entered in to a prize draw - one will be drawn out and win a bottle of Jura's limited edition 1976 Vintage (pictured, above). This is worth £500 and there are only 500 bottles in the release. To join the Duirachs and/or to enter the quiz, please visit www.isleofjura.com. Caol Ila is a distillery on the famous whisky island of Islay. It is the largest distillery on the island with an annual production capacity of 3.5 million litres but despite this, is one of the least known. The main reason is that the majority of the stock goes to the Johnnie Walker blended whisky range, which is produced by the current owners, Diageo. However, this is changing as they begin to increase the promotion of Caol Ila as a single malt and release more bottlings. Caol Ila (pronounced cull-ee-la) was founded in 1846 by Hector Henderson, who had formerly owned the Littlemill distillery near Glasgow. It is located on the northeast coast of the island and means ‘Sound of Islay’ in Gaelic. This is the name of the narrow stretch of water that separates Islay from the neighbouring island of Jura and the distillery overlooks this. It has a remote location and is surrounded by cliffs and caves on three sides. This difficult site was selected for its proximity to an abundant water supply from the nearby Loch Nam Bam and the good access to local shipping routes. 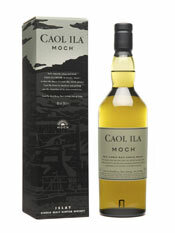 The Moch is a limited edition single malt whisky that was released in Spring 2011 to compliment the core range of Caol Ila. Originally it was bottled for members of the Friends of the Classic Malts but then received a small general release to specialist whisky retailers. The word 'moch' translates as 'dawn' from Gaelic and the whisky is so named as it represents a slight departure for the distillery. The Moch is the first Caol Ila whisky to be bottled by taste rather than age statement, strength or cask finish. It is bottled at 43% ABV and should cost around £35-40. The colour is a very pale lemon yellow and the nose is vibrant and expressive. There are immediate notes of malted cereals, fresh damp peat and green apple. These are quickly joined by other aromas that add some complexity - think of dried grass (or hay), vanilla, hot tar and a highly distinctive hit of zesty lemon. The slightly aggressive, feisty nature softens with time in the glass. On the palate, this feels creamy and is initially very sweet. This sweetness is driven by two distinct notes - icing sugar and honey. It is not long before the smokiness arrives. This almost catches the taste buds by surprise following the sweet start but when the smoke hits, it stays for the duration. It has a peppery, chili-like heat and spiciness to it, which is a classic note in young, smoky whiskies. The smoke softens with time in the mouth and becomes a little less spicy and softer with more of a bonfire-like quality. There is maybe a hint of the tar from the nose also. There are also notes of burnt biscuit, malty cereals, vanilla, in addition to that zingy lemon zest from the nose. It is an interesting mix of sweet and savoury. The finish is long and the smokiness takes an age to fade (we are talking about a good 15 minutes here). The finish is the palate in reverse - the drying spices and tangy zest give way to the intensely sweet notes, with the smoke smouldering away in the background. The Moch is a very interesting whisky. It is feisty, intense and pitches lots of sweet notes against lots of savoury notes. It also seems stronger on the palate than its 43% ABV. However, it somehow manages to marry all of these elements together very successfully and the final result is a very enjoyable whisky indeed. Anyone who like their smoky whiskies should definitely try or buy this. Dalmore have announced the latest bottling in their Mackenzie series. The third in the series is named Cromartie and this series has helped with the restoration of the Mackenzie family home. The previous two bottlings - the Mackenzie and Castle Leod - have now sold out and raised over £35,000 towards the renovations. The distillery is located close to the Mackenzie clan's Highland land, which forms part of the ancient region of Cromartie, thus giving its name to this new bottling. As mentioned, Dalmore is located in the northern Highlands, on the outskirts of the town of Alness, about half an hour's drive north of Inverness. It was founded in 1839 by Alexander Matheson and has had an interesting history, including being used during the First World War by the Royal Navy to manufacture explosives. The current capacity of the distillery is four million litres per year. Dalmore is currently owned by the famous whisky name of Whyte & Mackay, which is now a subsidiary of the Indian company United Spirits - they own the famous Whyte & Mackay blended whisky brand, plus the distilleries of Fettercairn, Jura and Tamnavulin. United Spirits took over in 2007. 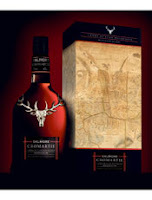 The Dalmore Cromartie is a limited release of just 7,500 bottles, which will retail for £100. It will be available across Europe in specialist whisky retailers and the travel/duty free sector from late February. The Cromartie was distilled in 1996 and has been matured in American white oak casks and then ex-Oloroso sherry casks. It has a final bottling strength of 45% ABV. The packaging (pictured, above) features a map of the ancient Cromartie region of the Highlands. The colour of Cromartie is golden amber and the nose is immediately rich and sweet. There are instant aromas of brown sugar, honey, dark dried fruits (think of raisins, sultanas and dates), burnt caramel and plenty of candied orange peel, which is almost marmalade-like. Underneath are notes of toasted malted cereals and nuts, with a hint of cinnamon and dark chocolate. From the nose tells you that the palate is going to be rich, and it does not disappoint on that front. It is rich and feels viscous and syrupy in the mouth. There is an initial sugary blast which has elements of dark brown crumbly sugar and honey to it. Then the distinct marmalade orange note comes through and tempers the intense sweetness with its slightly bitter and tangy edge. Other notes then emerge and fight for your attention - black treacle, dark chocolate, cocoa, warming wood/baking spices (imagine cinnamon, nutmeg and a hint of liquorice), toasted almonds and increasingly influential malty barley. The finish is of decent length and leaves a thick, sugary coating in the mouth. The sweetness thankfully subsides as some wood spices (that cinnamon/nutmeg again, plus some oak) and the tangy orange try to take control. Again, there are nice undertones of dark chocolate and malty cereals. 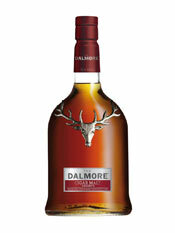 This is whisky exhibits all of the classic Dalmore characteristics. It is rich, sweet, viscous and full of deep flavours. It is definitely one for the fans of this distillery or of whiskies with a high ex-sherry cask influence. Others may struggle with the intense level of sweetness and richness. The slightly higher ABV seems to exaggerate these characteristics and intensify them, when compared to the softer Dalmore whiskies in their core range (at 40% ABV). Very interesting and clearly well crafted, but a little over sweet for our tastes. As we recently reported in Inbox, the Highland Park distillery from the Orkney islands have announced a new range of single malt whiskies. The award-winning brand will release four limited edition whiskies in The Valhalla Collection, all of which will be named after and inspired by Norse legends and gods. The Orkney islands have a rich Norse heritage dating back to ancient times and Highland Park consistently use this as a thread through their limited edition whisky ranges. Highland Park is the most northern whisky distillery in Scotland. It is found close to the Orkneys' capital Kirkwall and is one of only two distilleries on the main island (Scapa being the other). Highland Park has one of the best selling and most highly awarded single malt whisky ranges in the world. It is currently owned by the Edrington Group and has an annual production capacity of 2.5 million litres. Highland Park is one of the oldest whisky distilleries in Scotland and was established in 1798 by Magnus Eunson, who was known as the 'whisky priest' because he was allegedly a priest by day and an illegal whisky distiller by night. 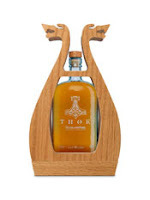 The first release in The Valhalla Collection is the Highland Park Thor, named after the most famous of the Norse gods. His hammer is depicted on the bottle and the release is a limited edition (if you can call 20,000 bottles limited ...). It has been bottled at 16 years of age and at the natural cask strength of 52.1% ABV. It is presented in an extraordinary wooden box, which represents the head piece on a Nordic long boat. The retail price is around the £120 mark. For further information on the Thor release and The Valhalla Collection - visit the special website www.whiskyofthegods.com. The colour is golden yellow and the nose is highly scented with numerous pleasant aromas. There is an intense heady mix of notes - toffee, malty cereals, lemon zest and a blast of ashy, sooty smoke are particularly prominent with others taking time to come through. These include notes of crumbly brown sugar, stewed apples, vanilla, yeast and a pinch of ginger and salt. It feels very bracing and very promising. On the palate, this is again intense with an initial kick of sooty and slightly earthy peat smoke. This softens quickly and combines wonderfully with other elements. These are driven by a feeling of juicy green fruit (think of pears and apples) which is fresher than the fruitiness on the nose. Other characteristics appear through the intensity and create a great depth and complexity. There are big notes of honey, cereals, butter biscuits and lemon zest. More subtle hints of ginger powder, vanilla, cinnamon, oak, salt and fresh dough contribute too. As the whisky mixes with your saliva it becomes less tangy and bracing, feeling creamier and quite buttery. The finish is decently long, starting initially sweet before this gives way to the slightly acrid smoke and subtle wood spices. The salty note seems much increased now and this saltiness cleanses the palate and refreshes your mouth. The smokiness is extremely pleasant as it fades and loses some of its feisty nature. Highland Park have done very well with this new release. While the extraordinary wooden packaging may border on ostentation, the liquid in the bottles is exceptional. The whisky demonstrates what Highland Park is all about and shows a mix of intensity, depth, complexity, flavour and a decent level of peat smoke without going too far. Some have commented that Thor seems slightly overpriced, but it just about gets away with it due to the high quality of the whisky. Fans of the distillery should love this, as should lovers of good whisky. It leaves us waiting in anticipation for the next releases in The Valhalla Collection - they have made a stunning start. The popular blended whisky has teamed up with whisky writer Ian Buxton to produce a book named The Famous Grouse - A Whisky Companion. The book looks at the history of Scotch whisky in general and the Famous Grouse brand in particular. 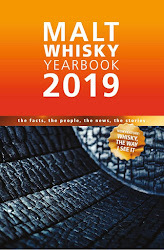 It covers the role of the brand in the increased popularity of whisky and is littered with interesting facts, figures and trivia about Famous Grouse. The book also contains 45 whisky based recipes and cocktails which all use Famous Grouse. The recommended retail price for The Famous Grouse - A Whisky Companion is £9.99 and it is due to be released in a couple of weeks time. It is currently available for pre-order through Amazon and other book retailers. A couple of weeks ago, we reported on an upcoming auction of a very special bottle of whisky - the Glenfiddich Janet Sheed Roberts Reserve. 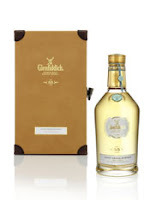 The whisky is an extremely rare 55 year old single malt that has been bottled to celebrate the 110th birthday of Janet Roberts, the grand daughter of Glenfiddich's founder William Grant. There are only 11 bottles - one for each decade of Janet's life - and these are being auctioned one at a time. Last Friday (10 February) saw the auction of Bottle No.2 at The Honourable Artillery Company in London and it was sold to an un-named telephone bidder for a staggering £44,000. All proceeds from the sale are being donated to the charity Walking With The Wounded. We plan to keep you updated with the further auctions in the series. The award-winning distillery from the southern Highlands has announced a new single cask whisky with the help of a Scottish rugby legend. The launch was held on 3 February - the eve of this year's Scotland v England rugby match. Proceeds from the sale of the Auld Enemy Dram, as it has been named, will go to two charities - Help For Heroes and The Bill McLaren Foundation. Former Scotland player Scott Hastings (pictured with Glengoyne's Commercial Director Neil Boyd) led the speeches at the launch dinner, where he was joined by other ex-Scottish team mates and some of his English counterparts/enemies. The Auld Enemy Dram is a single cask Glengoyne that was distilled in 1990, matured in an ex-sherry cask and bottled at 21 years of age. There are just 300 bottles available and these are at the natural cask strength of 54.4% ABV. The published tasting notes state a rich mahogany colour with a heavy, robust nose of hazelnut, prunes, cocoa powder, and liquorice with BBQ spice. The palate is powerful with good balance of red apple, raisins, wafer cone and subtle citrus. The finish maintains strength with increased fruits and dry spice. A bottle will cost £195 and can be purchased from Glengoyne's website. The Double Black is a limited edition blended whisky from the world famous Johnnie Walker range. This series of whiskies included some of the world's best selling whiskies, with the Red Label forming the cornerstone of this success. It is the best selling whisky in the world and contributes almost 10% of all worldwide whisky sales. This gives the staggering statistic that every one in ten bottles of whisky sold in the world is Johnnie Walker Red Label. The brand is named after Johnnie Walker, a man who owned a small grocery shop in the Ayrshire town of Kilmarnock in Scotland in the 1820s. Back then, nearly all whisky sold commercially was a blend. Johnnie Walker learnt the skills required to create a commercially successful whisky and the rest is history, as they say. Other famous blended whiskies such as Bell's and Teacher's have similar background stories. In the early days his whisky was made for his local clients and was sold in small quantities. The success of the brand really took off during Victorian times when it was heavily exported around the British Empire. As the Empire expanded, more people enjoyed the range and brand has never looked back. This is shown in the fact that Johnnie Walker whiskies were already exported to 120 countries before Coca Cola had even left America in the 1920s. The brand and the famous walking man logo are embedded in world culture and pioneered sports sponsorship in the 1960s by sponsoring a motor racing Grand Prix team and other major events, such as golf. 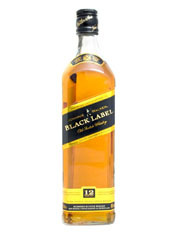 The Johnnie Walker brand is currently owned by multi national drinks company Diageo. 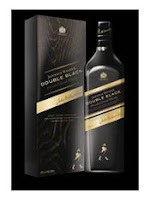 The Double Black is produced in relatively small quantities and is primarily placed in to the American and travel retail markets. As a result, it is quite difficult to find regularly in the UK and we were pleased to get the chance to sample it at a recent Johnnie Walker event. It is bottled at 40% ABV and retails around the £35-40 mark. The Double Black keeps the 'signature' whiskies of the regular Black Label but contains a higher proportion of smoky whiskies in the blend. The other main difference is that it is aged in heavily charred casks. The colour is a rich gold with a hint of amber. The nose has a lovely mix of sweet and soft smoky aromas. The sweetness manifests itself in the form of caramel, brown sugar, malty cereals, honey, vanilla and sultanas. The soft smokiness is never far away and has a delicate and earthy, almost moss-like, feel to it. There is also lovely notes of bitter orange zest and cinnamon bark present. On the palate, this feels creamy and soft, and again has the definitive sweet and smoky elements in good quantities. The sweetness is initially very honey-like and is soon joined by some prominent malty cereal, grainy notes and the good combination of elements from the nose, particularly the caramel, dried fruits (especially those juicy sultanas again) and the bittersweet orange. This tends towards 'spiced orange' as the cinnamon note seems to increase with time. The smokiness seems a little more savoury than on the nose and has hints of the earthiness, but also some leather and tobacco leaf. 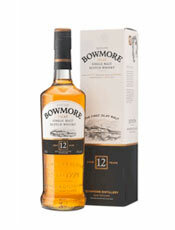 The finish is also very soft with sweet honey and cereal notes combining beautifully with the smokier, richer notes. Again the smokiness is gentle but of a savoury nature. There are also good pinches of cinnamon and nutmeg spice, plus a hint of salt. Lovely. This whisky is excellent but not quite as heavy and smoky as expected, given the emphasis put on the extra smokiness and the heavily charred casking. It is very easy going and would be a great whisky to introduce someone to the smoky flavour without going too far over the top. In fact, it would be very easy to drink quite a lot of this, as it is so flavoursome and easy going. A lovely, well made blended whisky that offers good complexity and balance at an affordable price. Earlier this week we were delighted to be invited to an event at one of London's newest whisky venues - the Soho Whisky Club. As the name suggests, the Club is located in the heart of London's bustling Soho area and offers a wide range of whiskies to its private members. It is the brainchild of Malcolm Mullin, the owner of the legendary Vintage House shop, above which it sits. The Vintage House has become a Soho institution since it was opened in the 1940s by Italian Leo Donati and Malcolm has owned the shop for many years. His father George had married Leo's daughter Diana and they took over the shop when Leo died shortly after the Second World War. It continues to bring a vast array of premium wines, spirits and cigars to Londoners today. As you go through the unassuming doorway next to the shop in Old Compton Street, you go up some stairs and are taken to a different world far away from the one that you have just left. The main room consists of the well stocked bar, with built-in cigar humidor, and a seating area for around 20-25 people. 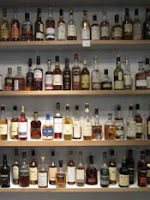 The bar has around 350 whiskies, of which approximately 300 are single malt Scotches. Some of these include some very rare bottlings, which are virtually impossible to sample or find in a regular bar (or even most whisky bars), and these are kept under lock and key. They have a full set of the Glenfarclas Family Cask series, minus the 1976 (someone had obviously purchased the whole bottle). This makes the Soho Whisky Club is one of the very few bars in the world where you can buy a dram of each Vintage in the series. However, we were more impressed by the range of ‘regular’ whiskies that was on offer - there were a decent number of interesting/rarely seen single malts that demand attention. These were divided in to shelves priced at the affordable £3.95, £4.95 and £5.95 a shot. Another key feature of the Soho Whisky Club is their Cigar Terrace. To reach this you go up a couple of steps and through a door. 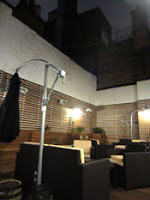 You are then standing in a swanky terraced area in the recess between numerous Soho buildings. This is fitted with seating and tables, plus umbrellas to protect from the elements when necessary. 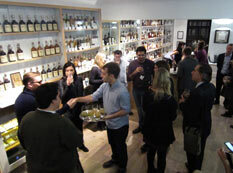 The Club are planning to use the space to host regular cigar and whisky matching educational events for members. The other idea is that you can select a cigar from the range, which is housed in the Club's bespoke built-in humidor, and then smoke it out on the terrace with a dram of your favourite whisky. The range is all Cuban and totals around 35 types, ranging in price from a 10 pack of Romeo & Julieta Minis for £5.95 up to a Cohiba Genios for £28.70. Alternatively, you can select a cigar from the larger 100-strong range stocked downstairs in The Vintage House, or bring your own cigars, and then smoke them for no extra charge. So, how do you join and what does it include? To sign up please visit their website – an annual membership will cost you £200 and this allows you access to the Club between 10am and 11pm. The Club also serves coffee and tea for those visiting during the day, as well as offering the chance to buy a bottle of wine from the extensive selection in the shop downstairs and open/drink it in the Club for a corkage fee of £12. Members of the Club are allowed to bring three pre-arranged guests to the premises with them as well. For any further information on the Club, forthcoming events or questions, please contact the manager Patrick McCourt at sohowhiskyclub@gmail.com or phone on 020-70181168. The famous Islay distillery of Bowmore has announced a re-brand of its packaging. The re-design covers both the domestic range and global travel retail ranges. This incorporates a refreshed bottle label, a new gift box, a slightly enhanced bottle shape and a more modern depiction of the distillery on the label. The new packaging is the result on consumer research by Morrison Bowmore, the brand's owners and has been undertaken to enhance Bowmore's position as a premium whisky gift. More news from Bowmore in the form of three new whiskies which will be available from March in the travel retail/duty free market. The first is 100 Degrees Proof which is cask strength and will retail at £50. The second is SpringTide which has been predominantly matured in ex-Oloroso sherry casks and will retail for £120. The final release is a 1983 Vintage - the first of a series of single casks from the 1980s which will be released to travel retail - which will retail for £500. It seems that not a week goes by without some news from Dalmore about a new release. The latest is the Cromartie, the third release in their Mackenzie series which is helping with the restoration of the Mackenzie family home. The previous two bottlings - the Mackenzie and Castle Leod - have now sold out and raised over £35,000 towards the renovations. The distillery is located close to the Mackenzie clan's land, which forms part of the ancient region of Cromartie. The whisky is a limited release of just 7,500 bottles, which will retail for £100. It will be available across Europe in specialist whisky retailers and the travel/duty free sector from late February. The Cromartie has been matured in American white oak casks and then ex-Oloroso sherry casks. The published tasting notes include elements of bergamot, mandarin, lemon grass, dark bitter chocolate, rich Columbian coffee, old English marmalade, Pedro Ximenez grapes and spicy cinnamon. What do blended whisky and tea have in common? Have you ever been chatting to someone who “knows all about whisky” and is certain that blended whisky is merely made from the lesser quality spirit that is not good enough to be bottled as single malt? We certainly know we have. Recently we had the opportunity to attend a rather special event held by Johnnie Walker that showed a glimpse into the complex and thoughtful world of whisky blending that threw aside the idea of blended whisky being an inferior product. We found ourselves in the hard-to-believe situation that the men behind Johnnie Walker, the biggest selling International whisky brand which is currently owned by Diageo, were hosting an education day for a number of influential journalists and bloggers who spend their days talking about whisky and other drinks. Do we all take blended whisky for granted that the extent that we all needed a little reminder as to why it is such a popular drink? The answer appeared to be yes and the way that they approached the day’s lessons were as innovative as the brand’s history. The day started off in a way that no-one attending would have imagined – a tea tasting by Ed Eisler and the fabulous folk at Jing Tea (jingtea.com). Why tea tasting? The answers to that are simple and thought provoking. Firstly, tea blending shares many of the skills and ideals of whisky blending. There must be a great relationship with the producers, an extensive knowledge of the raw product, a readiness to exclude substandard product and the challenge of producing a consistent taste in the final product when the raw materials will vary widely from day to day. The key to the answer also lies in Johnnie Walker’s history. Thankfully, we had Dr. Nick Morgan, Heritage Director for Diageo Malt Whiskies, on hand to provide all the answers throughout the day. Johnnie Walker, the man, started his career in 1820 as a grocer. His small shop in Kilmarnock, Ayrshire, Scotland sold various products of which tea and whisky were included. Back then, just as today, most teas were blended and all whisky sold commercially was a blend. Johnnie Walker learnt the skills required to create a commercially successful whisky only after learning the skills to create a commercially successful tea. One lead to the other. In the early days his whisky was made for his local clients and would have been sold in small quantities, not at all dissimilar to many of today’s artisanal whisk(e)y producers around the world. His skills as a blender were key to the success of his product in those early days. The day then moved onto to some whisky tasting with Jim Beveridge, Master Blender for Johnnie Walker. He explained the cardinal (or core) influences of Scotland’s whiskies that are key to the flavour profile of Johnnie Walker - Highland Malt (for robust savoury notes), Highland Smoke (for complex smokey notes), Islay Smoke (for powerful smokey notes), Grain (for spicy cereal notes), Speyside Fruit (for fresh fruity notes) and Lowland (for fresh malty notes). We tasted a dram of whisky that highlighted each of these influences and had the chance to compare these against a dram created by Jim that was his attempt to recreate the Johnnie Walker 1867 Old Highland style – the whisky style that is now recognised as the ‘original’ Johnnie Walker. Next came a tasting of the flavour profiles you can expect from Johnnie Walker - Islay Smoke (similar to single malts such as Lagavulin and Caol Ila), Fresh Fruits (Glenkinchie and Dalwhinnie), Rich Fruits (Benrinnes and Mortlach) and Creamy Vanilla (grain whiskies). We tasted a dram of whisky that expressed each of these characteristics against a dram of Johnnie Walker Black Label. Each and every influence was detectable in the finished product. At this stage, after the tastings and speaking with Jim, the complexity of blending becomes apparent, especially when you realise the skill involved in selecting the correct whisky from the hundreds of thousands of casks available to be included in a blend. Only talent and experiences ensures that each of these influences and flavour profiles is correctly expressed and balanced in the final product while ensuring that each bottle is consistent with the last. The size of challenge is impressive and daunting, and the skill involved in continued success is apparent. After all how many of us can make a simple cup of tea that tastes the same day after day? The Highland distillery of Dalmore has released a revised version of a classic whisky from their collection. The previous incarnation of the Cigar Malt was retired in 2007. This new version is named the Cigar Malt Reserve and is back by popular demand. It is aimed at whisky connoisseurs and cigar aficionados alike and has been created primarily to be paired with cigars, particularly the more robust styles such as Partagas. Naturally, the whisky can also be enjoyed minus the cigar if you don't smoke. The Cigar Malt Reserve has been created by Dalmore's Master Blender Richard Paterson and has been matured in a combination of three different casks to create a rich flavour profile - these are ex-Oloroso sherry, ex-American oak bourbon and ex-Cabernet Sauvignon red wine casks. Although no age is stated on the label, all of the whiskies included are rumoured to be between 12 and 14 years of age. The CMR is bottled at a strength of 44% ABV and is now available in specialist whisky retailers and within the travel retail sector, costing £70 a bottle. The Dalmore distillery is located in the northern Highland town of Alness and overlooks the imposing Cromarty Firth. It was founded in 1839 by Alexander Matheson and has had an interesting history, including being used during the First World War by the Royal Navy to manufacture explosives. The current capacity of the distillery is four million litres per year. Dalmore is currently owned by the famous whisky name of Whyte & Mackay, which is now a subsidiary of the Indian company United Spirits - they own the famous Whyte & Mackay blended whisky brand, plus the distilleries of Fettercairn, Jura and Tamnavulin. United Spirits took over in 2007. On the palate, this feels initially creamy, rich and sweet. Notes of velvety caramel, golden syrup and crumbly Muscovado sugar offer plenty of sweetness, which is heightened by further notes of honey, vanilla, sweet malted barley and juicy sultanas. Just when a sugar overload is looking on the cards, some much needed spicy and more bitter notes arrive - think of zesty orange peel and a good serving of gripping and tannic wood spices, such as oak and cinnamon bark. This creates balance and a pleasing dryness as you go in to the finish. The finish is slightly short and is overly sweet. There is plenty of the sugary/syrup notes present and only a hint of the tannic, drying wood spices - these begin to add balance, as on the palate, but never seem to quite achieve it. Add in some orange zest and a hint of chocolate and coffee right at the end. This whisky has all of the classic Dalmore hallmarks and won't let down the many fans of the distillery or Richard Paterson's work. 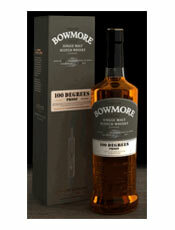 It is rich, sweet and velvety on the palate and a definite purchase if you like that style of whisky. However, while the whisky is good we have a couple of points to raise. 1 - The price is almost double that of the original Cigar Malt and it seems slightly high for something which is 12-14 years old. It could be more justified if it were a limited edition or at a higher ABV and/or cask strength. Ultimately, only you can decide if it is worth the cost, as with any other whisky purchase. 2 - We shared our sample with someone who regularly smokes cigars, as we very rarely do. He commented that a heavier, spicier cigar, such as the recommended Partagas, could easily overpower the whisky. The whisky would need to be richer and spicier itself, or at a higher ABV, to combat this intensity of flavour. As it stands, our colleague recommends having the Cigar Malt Reserve with a medium-light cigar such as a H. Upmann or Romeo y Julieta, which he feels would match the whisky very well. This whisky was released in November last year and was bottled to mark the change in law by the UK Government. 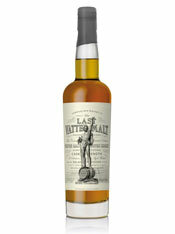 The Last Vatted Malt is produced by boutique whisky producer Compass Box and the clue as to the law change is in the name. As the clock struck midnight on 22/23 November, it became illegal to use the name 'vatted malt' on any product. A vatted malt is a whisky that is made using two or more single malts, and from that point onwards they would have to be referred to as 'blended malts'. 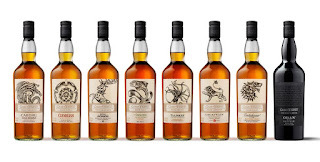 Compass Box believe that the law and name change will create confusion with consumers and whisky drinkers, as they may mix up 'blended malts' with blended whiskies - these contain whiskies made from other grains in addition to the single malts. Therefore, the Last Vatted Malt was born and the last ever bottle was filled on Westminster Bridge, next to the Houses of Parliament, in London as Big Ben approached midnight. We were delighted to be invited to that and to read fully about the law and name changes, plus that event on Westminster Bridge - click here. The Last Vatted Malt is made up of just two un-named single malts - a 36 year old distilled in 1974 and from Speyside which has been matured in first-fill ex-sherry casks (strongly rumoured to be from Aberlour), and a 26 year old distilled in 1984 from Islay which have been matured in ex-bourbon American oak casks (strongly rumoured to be from Caol Ila). It is being released at the natural cask strength of 53.7% ABV and there are just 1,323 bottles, retailing at £175 each. The colour is a dark amber brown and the nose is rich, expressive and sumptuous. An initial note of burnt brown sugar quickly gives way to some sweeter aromas, namely malty cereal grains and soft, earthy peat. This peaty aroma evolves with time in the glass - at times is feels mossy and at others it is reminiscent of creamy coal tar soap. There are other elements adding further depth - spiced orange (think of marmalade), caramel, toasted almonds, vanilla and marzipan. This nose is very positive and the combination of aromas is stunning and deserving of your prolonged attention. On the palate, things kick off with the soft, sweet peat smoke again. This time it seems to evolve in to having a tobacco/cigar-like quality. There are plenty of notes vying for attention - wood spices (think of cinnamon bark and oak) grip your taste buds and add pleasing dryness, bittersweet cereals give further intensity and dark dried fruits bring good sweetness (imagine raisins, figs, prunes and dates). More subtle notes of vanilla, coconut, spiced/cloved orange peel, dark chocolate and bitter espresso contribute to a wonderful compexity and combine well with the ever present and prominent smoke. The finish is very long and rich with plenty of drying smokiness present. This becomes increasingly tobacco-like and is reminiscent of the feeling when you have finished smoking a cigar. Further woody spice combines with this and some robust cereals and a lovely fudge brownie chocolate note to create a finish that lingers for ages. Delicious. Compass Box rarely do things by halves and this is no exception. The careful selection of the two casks and subsequent combining of them shows their skills. The smoky whisky could easily overpower the sherry casked one, but it doesn't - the marriage seems perfect. It is easy to see why they have won a hatful of awards. This whisky is a fitting tribute to all of the vatted malts that went before it in over 150 years of the old naming process. It can only be hoped that all forthcoming blended malts can be this good or better. Very few whiskies would make us part with £175, but this could well be one of them. The north Highland distillery of Dalmore, who are well known for their very old, rare and limited premium releases, have announced the launch of a single bottle whisky. 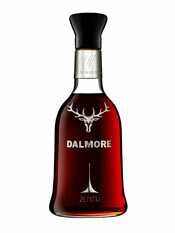 Named the Dalmore Zenith, it has been crafted from three very old whiskies distilled in 1964, 1951 and 1926. These were brought together and married for a period of time in an ex-Oloroso sherry cask. The Zenith is presented in a bespoke crystal decanter and a cabinet made from English oak and rosewood. The sale of the Zenith is also unique as it is being auctioned exclusively through The Whisky Shop - the UK's largest specialist whisky chain. The reserve price is £50,000 and sealed bids are currently being invited, with a closing date of 31 March 2012, and 10% of the final price will go to a nominated charity. The decanter is currently traveling around The Whisky Shop's 18 UK stores on a national tour and you can follow its progress on the new Twitter feed - @dalmorezenith. If the full bottle is out of your league, then the chain are running a competition to win a 5cl sample bottle of the Zenith. For further information on the Zenith or to enter the 5cl competition - click here. Another auction of a rare old whisky is taking place next week on Friday 10 February. The whisky is a bottle of the Janet Sheed Roberts Reserve, a 55 year old single malt that has been released to celebrate the life of Janet Sheed Roberts. She is the grand daughter of Glenfiddich's pioneering founder William Grant and last August she celebrated her 110th birthday, making her the oldest person in Scotland. There are only 11 bottles available of this whisky, one to signify each decade of Janet's life, and they are being sold individually at auction. This will be the second bottle to go under the hammer, with the first one going for £46,850 late last year. All proceeds will go to the charity Walking With The Wounded. The exceptionally rare whisky is presented in a bespoke hand blown bottle in a silk lined leather presentation case. It is hoped that the final price will be greater than that of Bottle No.1 when the auction takes place at The Honourable Artillery Company, London. For further information and tasting notes of the Janet Sheed Roberts Reserve - click here. The famous north Highland distillery of Glenmorangie have announced a three year partnership with The British Open golf tournament, starting with this year's event at Royal Lytham St. Anne's between 15-22 July. The iconic event pulls in crowds of over 200,000 and is watched by an estimated worldwide audience of 450 million. 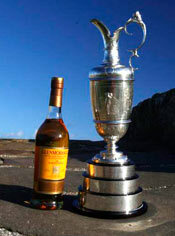 Glenmorangie will be 'the official whisky of the championships'. Both the distillery and the tournament have proud histories dating back over 150 years and the pairing is being billed as 'the perfect partnership of two icons'. 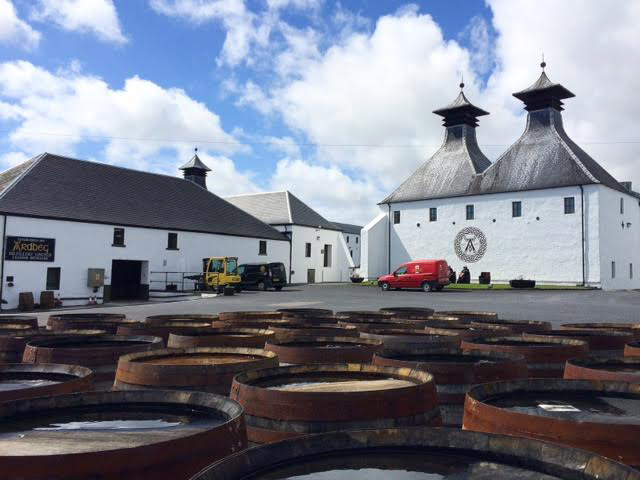 The latest edition of The Whisky Round Table is now out. 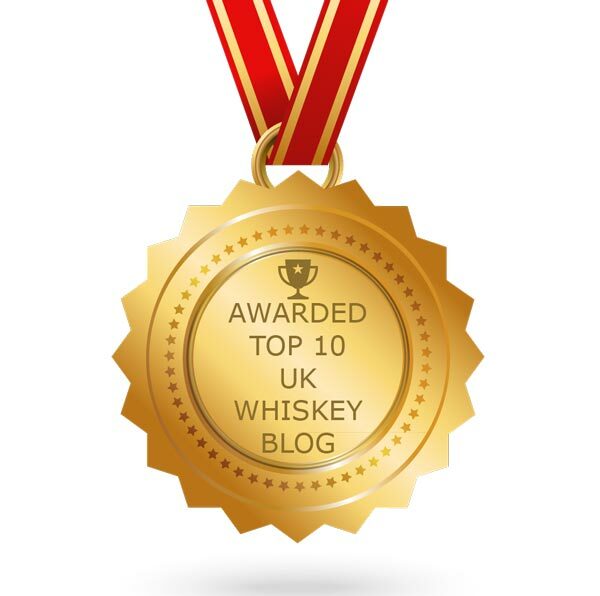 The WRT is a group of whisky bloggers from around the world, of which we are delighted to be part. Each month one of the bloggers plays host and asks a whisky related question to which the others reply. This month's meeting is hosted by Keith Wood, who writes the excellent, informative and incredibly in-depth website Whisky Emporium in both English and German. Keith asked us for our thoughts on whisky festivals, which ones we plan to visit and what we look to get out of them. To read the full question, plus our reply and those of our fellow Round Tablers - click here. 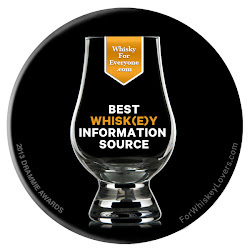 As from next month the Whisky Round Table will have a new format, but more news of that will follow on that shortly. @TheBalvenieUK - A few videos featuring our very own @BalvenieNP talking to Patricia Richards about how to make scotch & The Balvenie. Watch - click here. This new whisky was released just before Christmas and is the fifth expression in Glen Garioch's Vintage range to date. 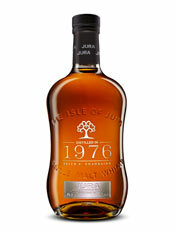 It joins the other four Vintages, which were distilled in 1978, 1990, 1991 and 1994. Each Vintage is made from premium casks which are specially selected. This new release was distilled in 1986 and bottled in mid-2011 at 25 years of age. There are just 3,000 bottles available and these are currently in specialist whisky and liquor retailers in certain markets around the world - Canada, France, Holland, the UK and the USA. The 1986 Vintage has been bottled at the natural cask strength of 54.6% ABV and has a recommended price of £125. Glen Garioch (pronounced glen-geery) was founded in 1797 by Thomas Simpson, making it one of Scotland's oldest whisky distilleries that is still in operation. The original name was Glengarioch (the 'garioch' is a fertile strip of local farmland that has historically produced top quality barley) before changing to Glen Garioch in the 1930s. It is located in Oldmeldrum, a small town in the east Highlands, which is close to Aberdeen. The distillery is Scotland's most easterly and has an annual production capacity of one million litres. Glen Garioch is currently owned by Morrison Bowmore, which is a subsidiary of the Japanese drinks company Suntory. They took control in 1994, temporarily closing the distillery one year later, before reopening it in 1997. Previous to the closure, the distillery had produced a mildly peaty whisky but this practice was stopped upon it re-opening. The colour is a bright golden yellow and the nose is expressive, fragrant and fresh. The combination of strongly scented aromas is lovely. There are initial notes of fudge, vanilla, white chocolate, peach and malted cereals. Underneath, some honey starts to come through, as does some cinnamon spice and a whiff of peat smoke. There is also a distinct aroma of palma violet sweets. On the palate, the vibrancy continues and this is helped by the high ABV level. Initial sweet honey and vanilla notes give way to some brown sugar, fudge, white chocolate on the sweeter side. This is tempered by some robust wood spice (think of oak, cinnamon and nutmeg), bittersweet malty barley, toasted nuts and some background earthy smoke, which is reminiscent of tobacco leaves. The fresh palma violet sweets and a twist of lemon zest finish things off. The depth, complexity and freshness of this whisky is very interesting. A little dash of water cools things down - it becomes more creamy, grainy and soft, with the wood spice and zestiness getting a little lost. It is still very pleasant though. The finish is a little feisty with plenty of dryness from the wood spices balancing the sweetness of the vanilla, honey and increasingly prominent smoke.